Following an article published in the "Bucks Free Press", in response to a letter from E.F. (Ted) Harman, High Wycombe Camera Club was formed on 1st September 1938, after an inaugural meeting which some twenty or so interested photographers attended. 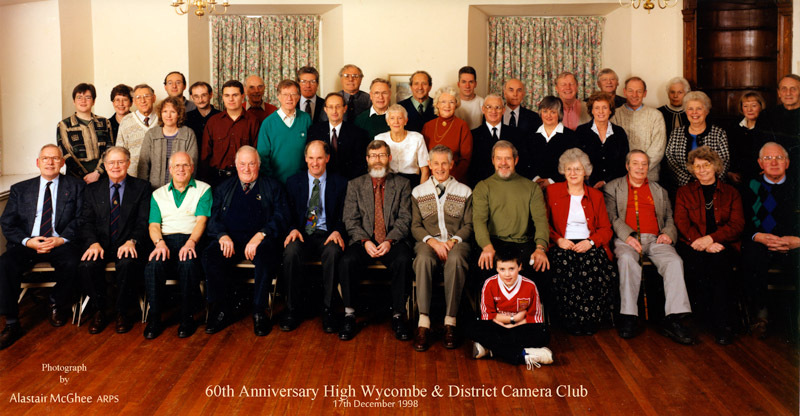 In the mid-nineties, the Club changed its name to High Wycombe and District Camera Club, to reflect the broader area from which members were drawn and, more recently, a further name change to Wycombe Photographic Society to capture a wider spectrum of photographic interests extending beyond the camera. Today the Club is a group of enthusiasts, from beginners to experts, young and older, male and female, whose common interest is photography. The activities of the Club embrace all types of still photography: digital or traditional; prints and transparencies in colour or monochrome; and audio visual sequences.